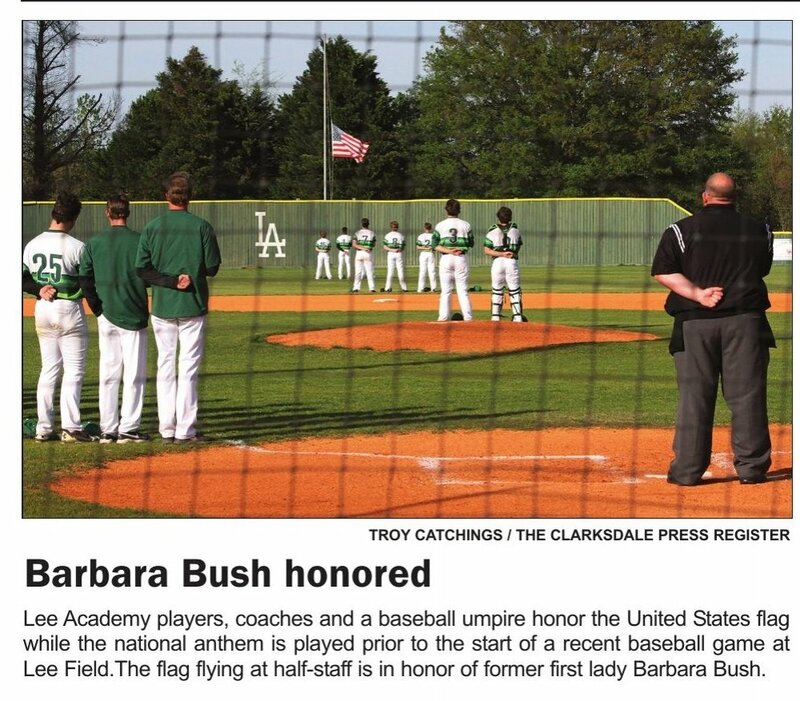 Lee Colt Baseball "IN THE NEWS"! 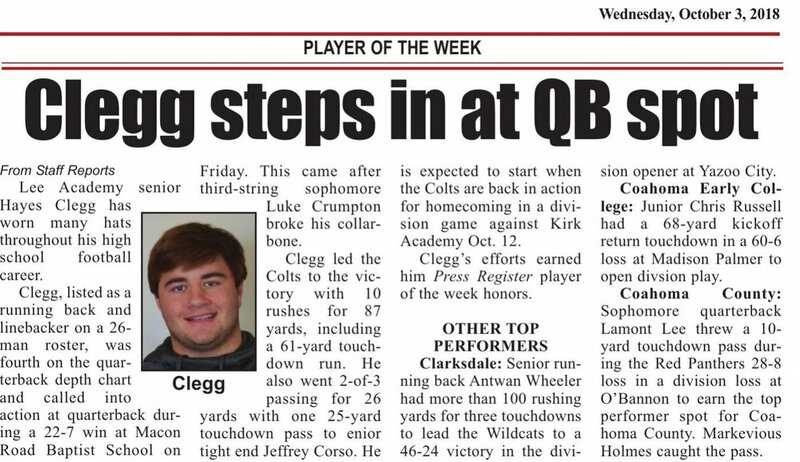 HUGE thanks to the Clarksdale Press Register for following and capturing so many special LEE COLT BASEBALL moments this season! 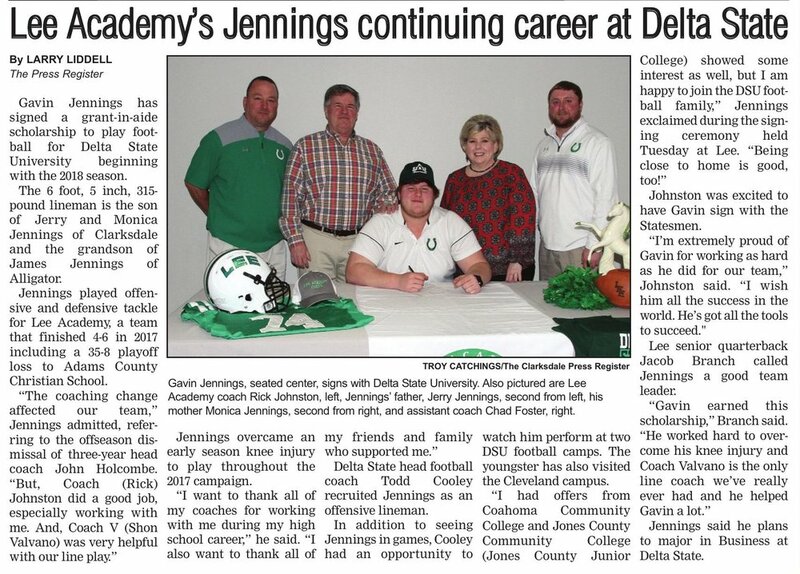 MAIS All Star Player Announced! 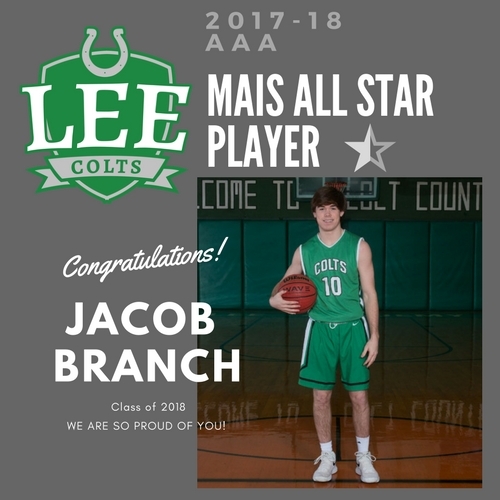 Jacob Branch named All Star Player! AAA-AAAA ALL STAR HEAD COACH ANNOUNCED! 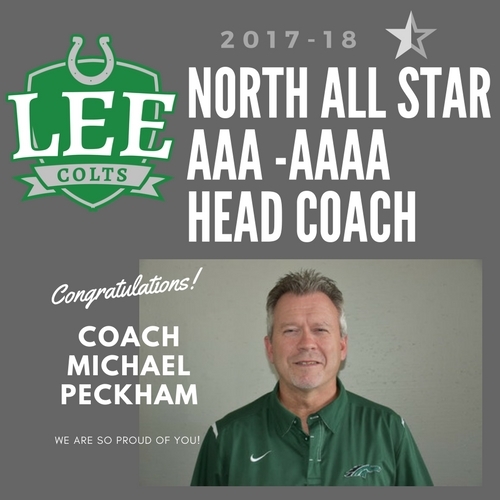 Coach Michael Peckham selected AAA-AAAA All-Star Coach! Maddie and Sydni Moore seated with their parents Karen and Jay Moore. Head softball coach, Tom Fleming standing. 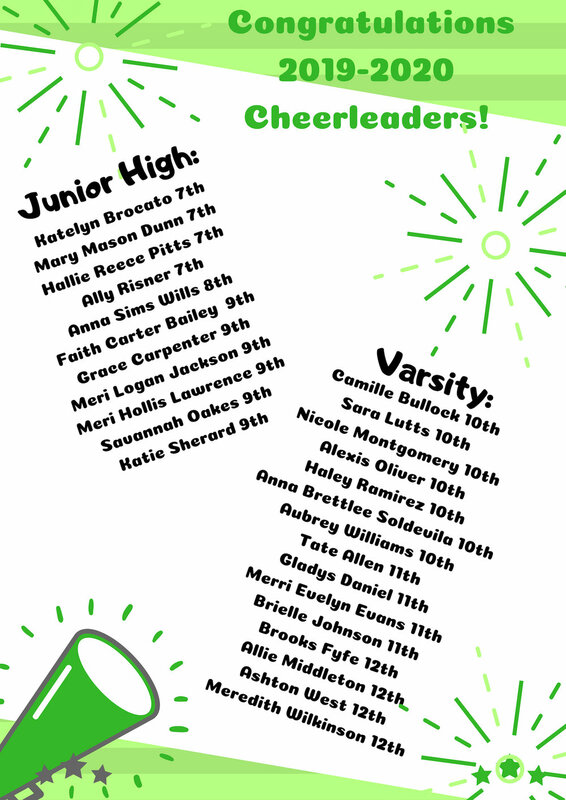 We are SO PROUD of our TWINS! 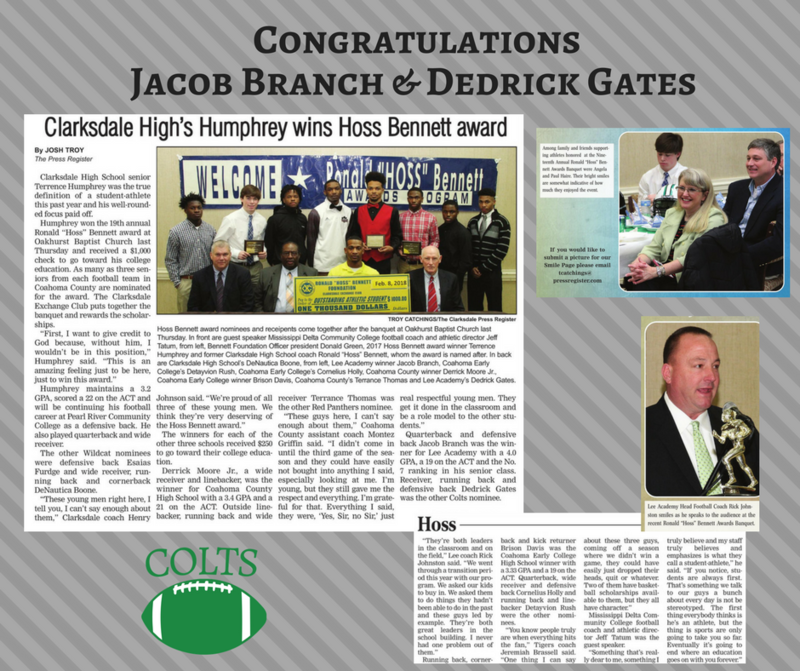 Colts & Fillies Open with WINS! 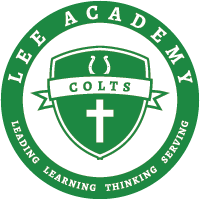 Colts and Fillies Open with WINS! 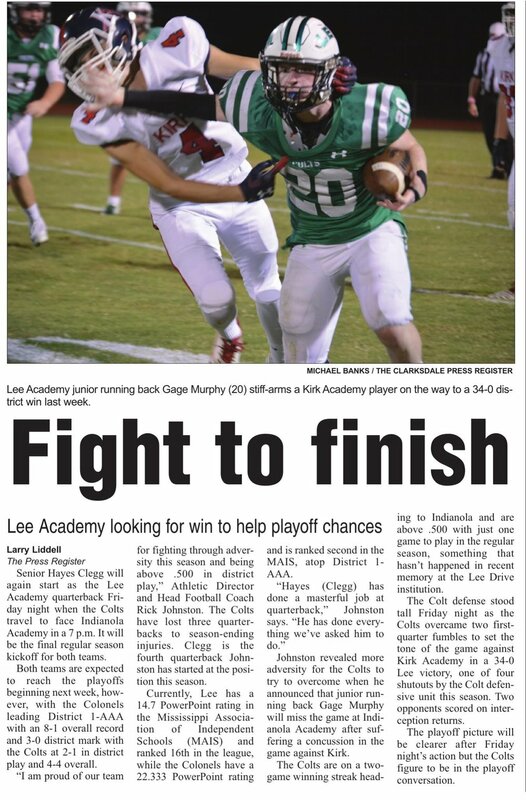 Lee Academy heads to playoffs tonight! 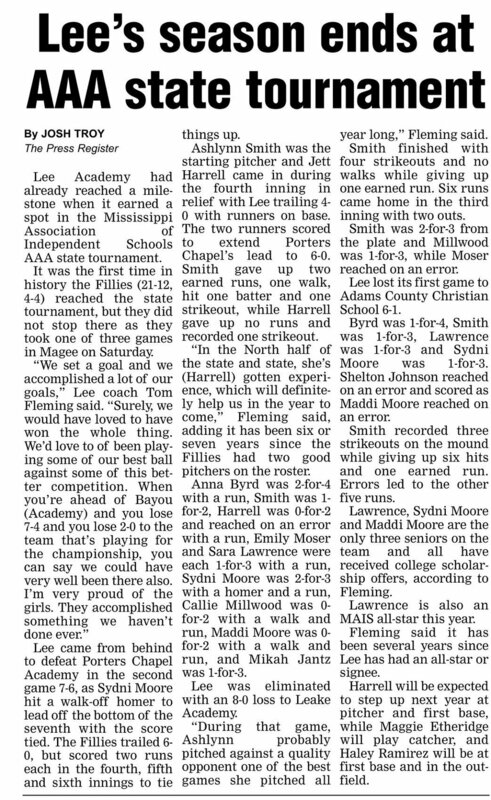 AWESOME Softball Season for the Lee Fillies! 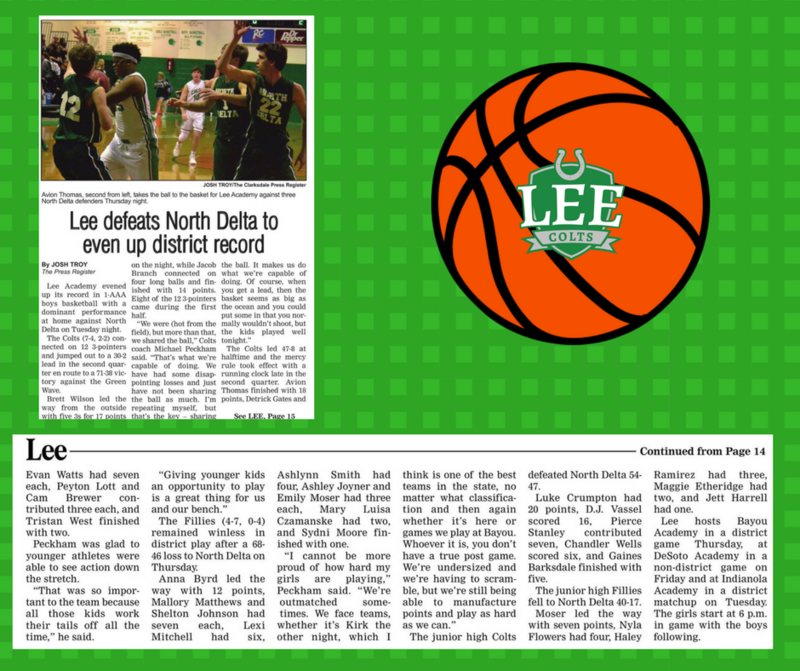 FANTASTIC SEASON FOR THE LEE FILLIES! Lee Celebrates 25-13 Homecoming Victory!